Forget buying a rose or flowers as love is in the air! 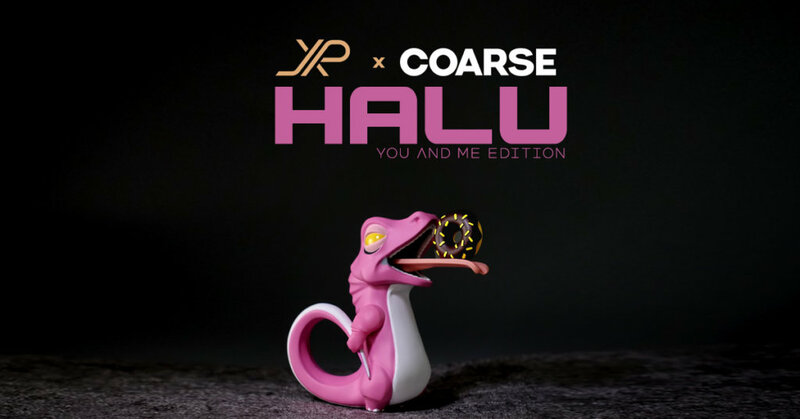 Previously teased news has just come in that JPX x Coarse wants you to make Halu as your valentines present for your loved one or spoil yourself with this new “Animal parade: Halu/เหี้ย You and me” edition. Online release via Google Document release on JPX Facebook HERE. Please note Google form will be shown on the day of the release. Can’t wait for the new editions? Our boys at Collect and Display have the Coarse x JPX – 3.5″ Halu Bliss (Get Out) and Coarse x JPX – 7″ Halu Shine (Sugar Rush!) *COUGH on sale too! Quick only a hand full left. Leave you all with our review of Halu. Stay tuned for further updates.